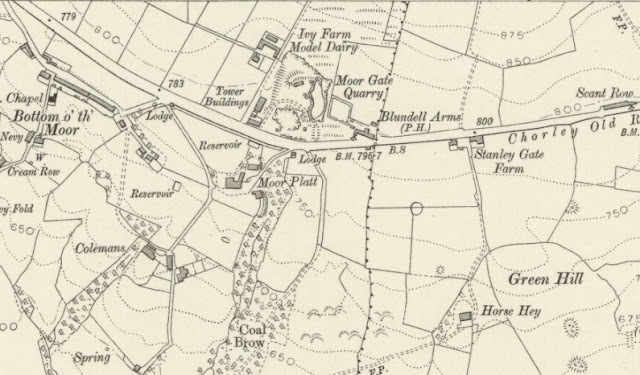 The Blundell's Arms, or Moorgate Inn, as it was sometimes referred to dates back to the 1700s and is a Grade 2 listed building. 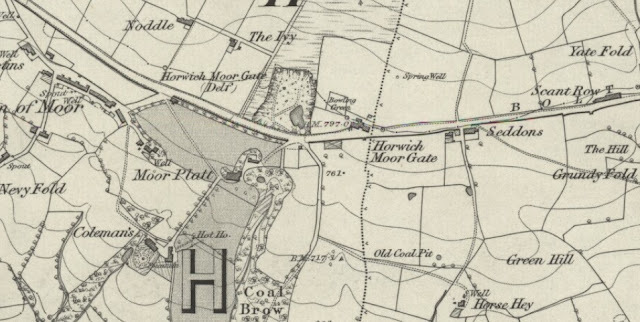 Located on Chorley Old Road to the East of Horwich it is next to the Moor Gate Quarry, which is now used as a fishery. 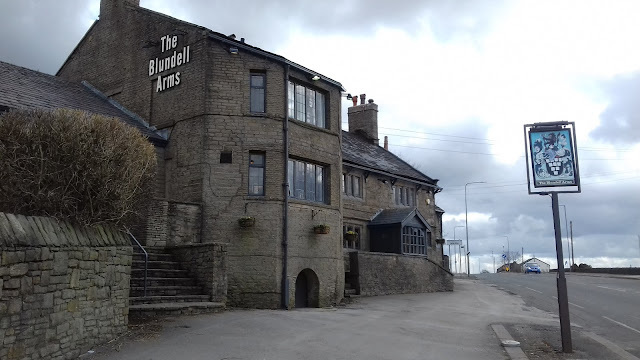 Located in the village of Horwich, The Blundell Arms is set in a historic courthouse building and has been a north west landmark since 1741. 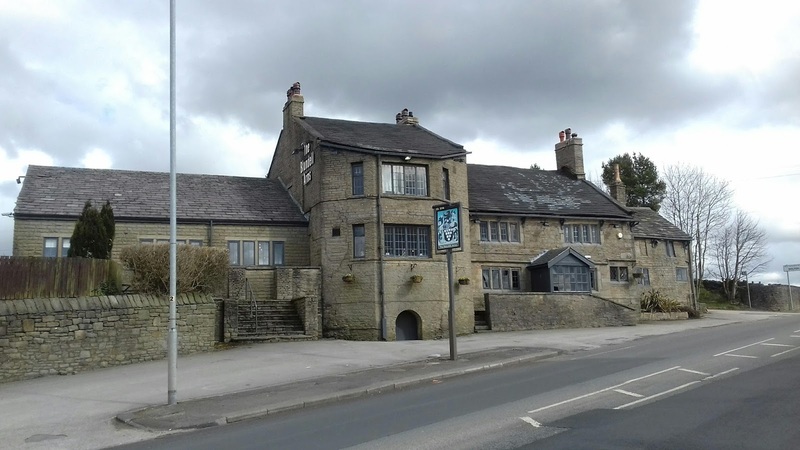 The pub's distinctive stone slate roofs, and its dressed stone and quoins on the exterior fit perfectly with this area, where beautiful architecture and history flourish together. 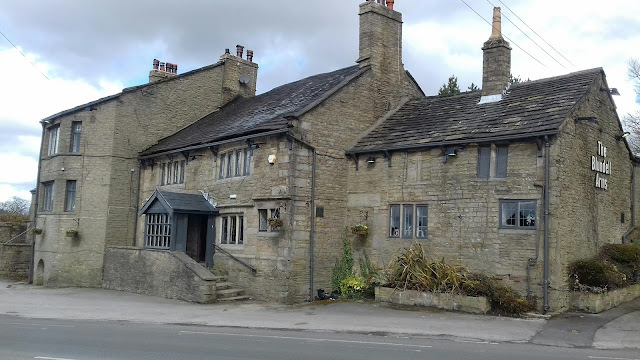 Less than 15 minutes walk away lies the Grade II listed Holy Trinity Church, consecrated in 1831, and constructed by renowned religious architect Francis Octavius Bedford. Horwich Parish Hall is also nearby - another impressive Grade II structure, which was built in 1793, and had such close ties to the church that its staff were payed from the Sunday service collection. 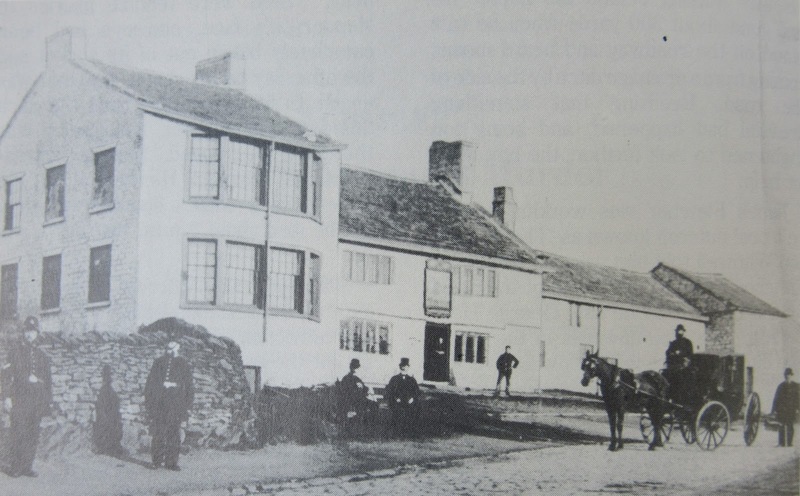 The reference to the Blundell being a courthouse dates back to the 18th and 19th centuries when many prominent Inns were used to host Coroner's Inquests and the cellar would have been used as a mortuary. 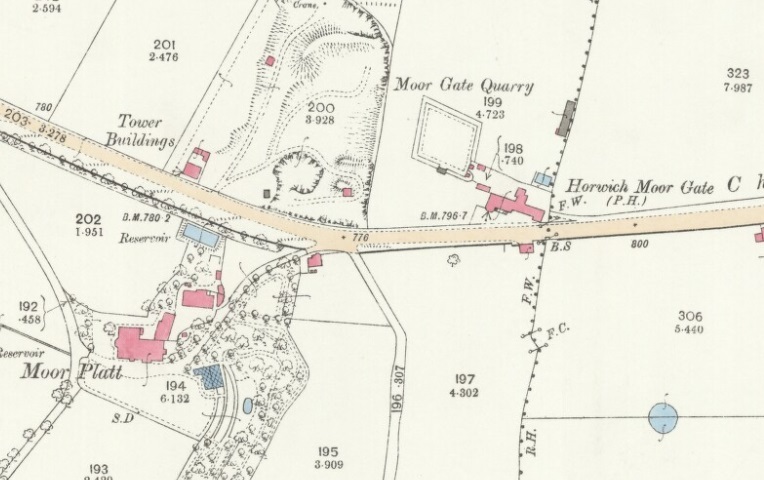 In this case I suspect that many workers from the quarry ended up there as it was a high risk occupation with many deaths at work. 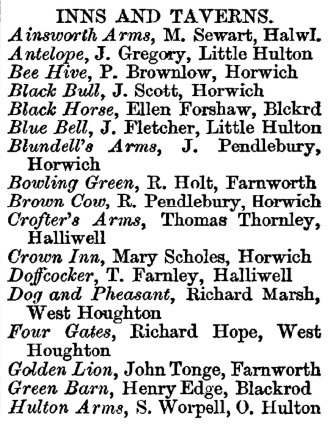 Listed landlords of the Blundell's Arms were Matthew Lambert (1825-36), James Culshaw (1841), John Pendlebury (1851-54), James Kershaw (1861), Robert Fogg (1864-65), George King (1865-68), Gwen Owens (1868-71), William Haslam (1871-80), Margaret Haslam (1880-81), James Allen (1891), Henry A Hughes (1901), Sarah Hughes (1905), George Butler (1911), Thomas Taylor (1924) and Charles Leslie Eden (1944). The Inn was named after the Blundell family who probably owned the building and let it out to tenants along with the surrounding land for farming. The Blundells acquired large tracks of freehold after the Anderton family had conflict with the crown after the battle of Preston in 1715. 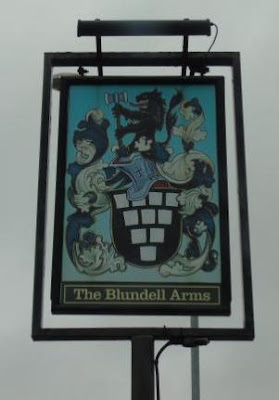 The Blundell('s) Arms still displays the Blundell family coat of arms above the door. 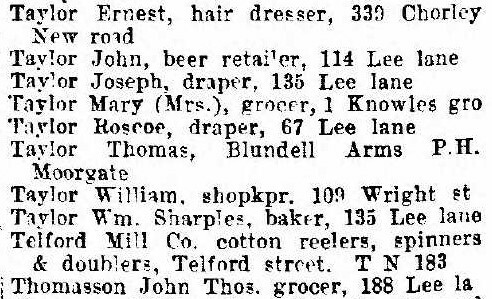 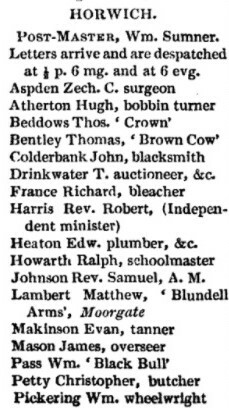 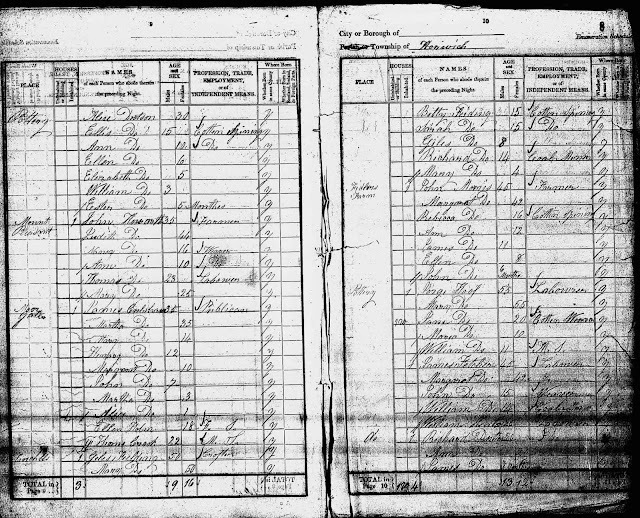 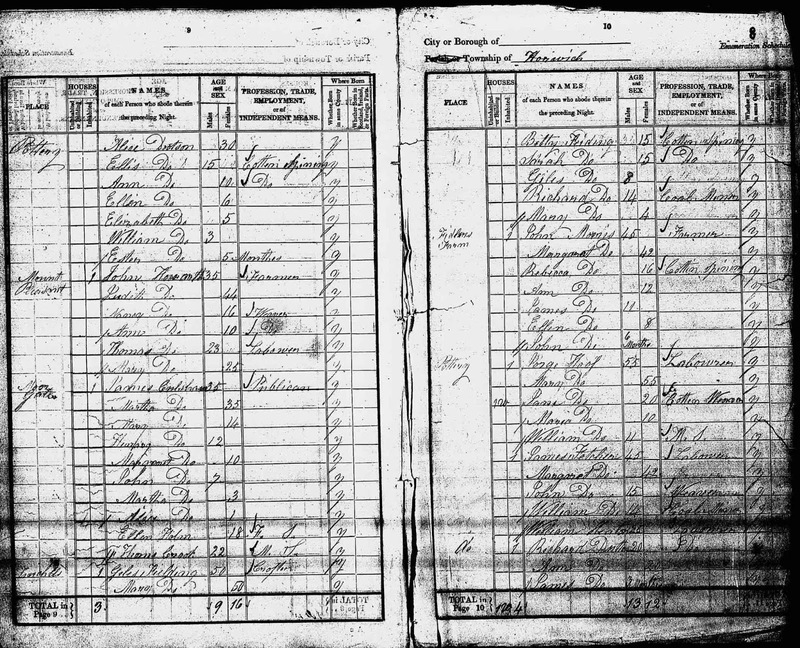 In 1851 the publican, John Pendlebury was listed as a farmer of 20 acres as well as a Publican and he was still at the Inn at the time of the 1854 directory below. 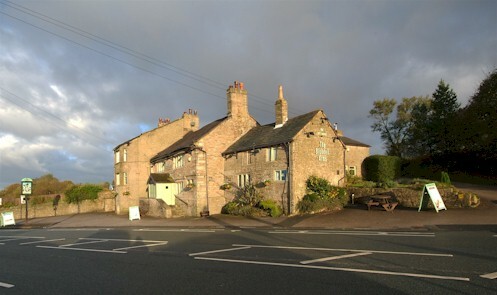 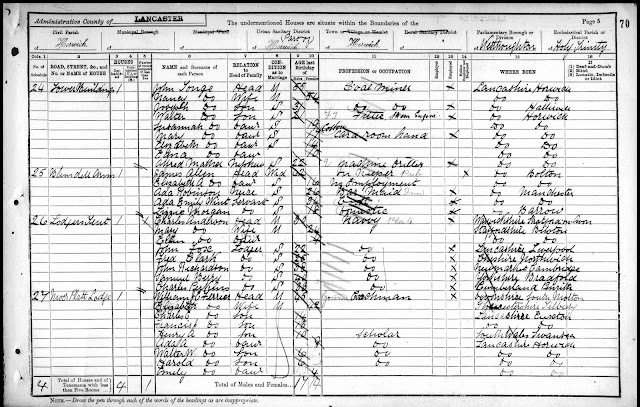 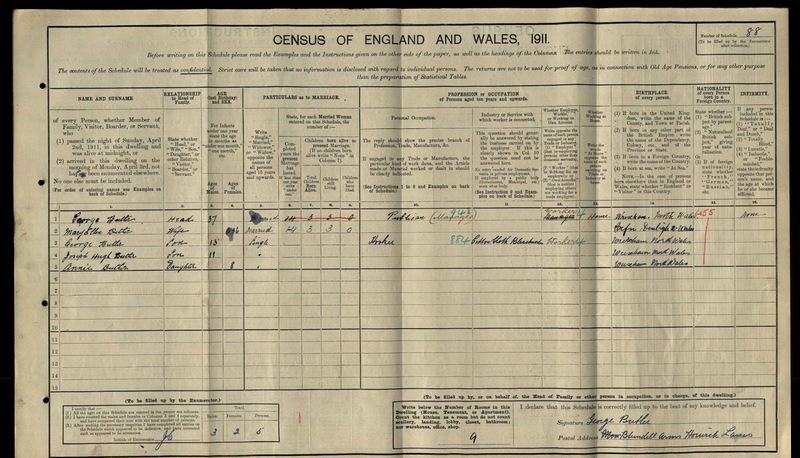 James Kershaw has taken over behind the bar by 1861 and continued the trend of working the farm and Inn simultaneously. 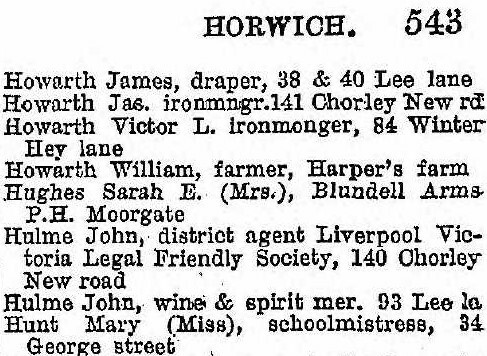 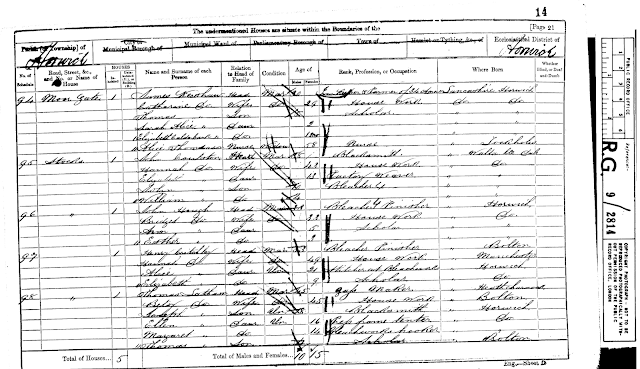 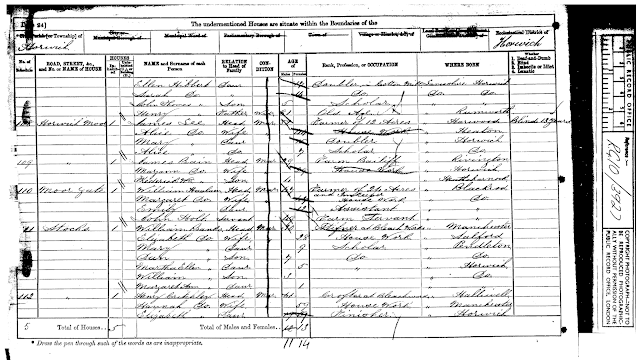 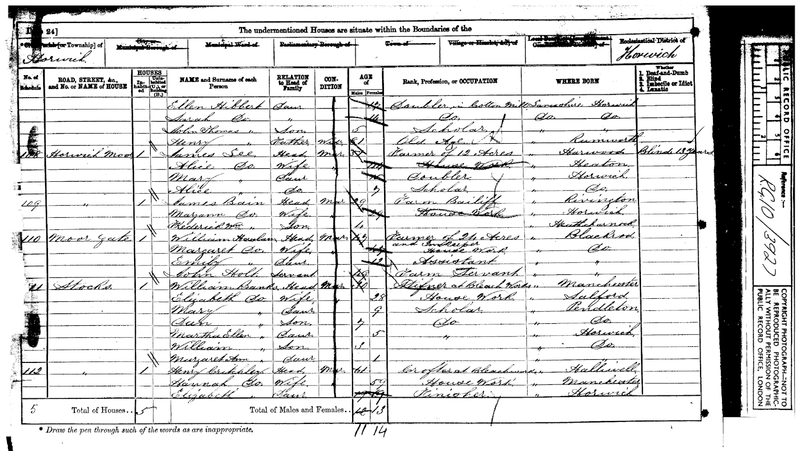 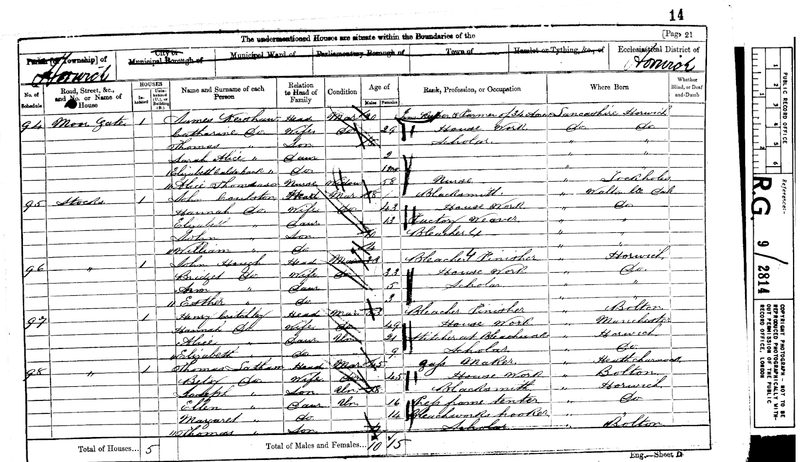 Marriage: 5 May 1880 Horwich Chapel, Horwich, Lancs. 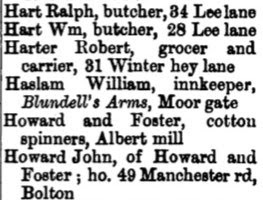 William Haslam died in 1880, shortly after his daughter's marriage to John Pendlebury. 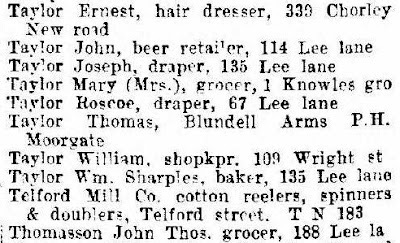 Whether John was related to the previous landlord of the same name is not known to me at this time but I suspect they will be related. A year later, Margaret was left running the Blundell Arms as a widow...ten years later she had moved on.